Finally, a method of growing food that is reliable (and I mean bomb proof). It also produces an abundance of food and is easy to understand. This package includes a fully illustrated step by step manual PLUS AudioBook version and over 60 minutes of video. 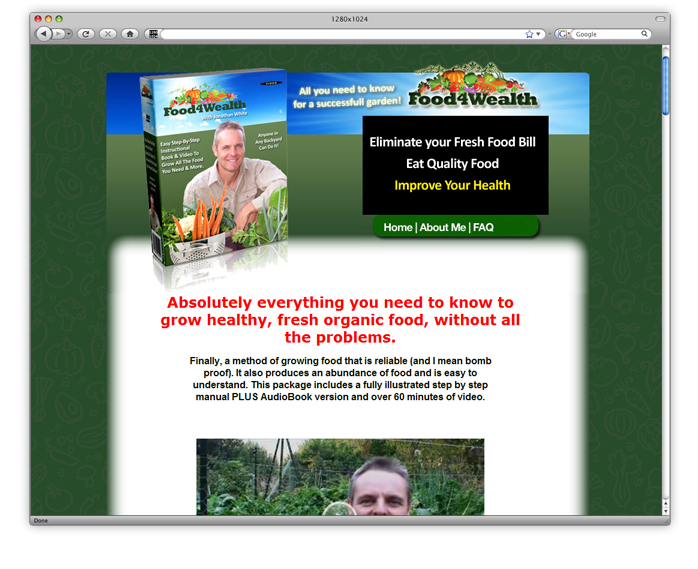 *** Grow the tastiest, fattest tomatoes, lettuce, carrots, potatoes, celery, zucchini, pumpkin, cucumber and more! And that’s exactly what this method is – EMBARRASSINGLY SIMPLE.